If you’re looking for the microcosm of the Wolves’ evolution narrowed to one day, former Apple Valley star Jones has it covered. 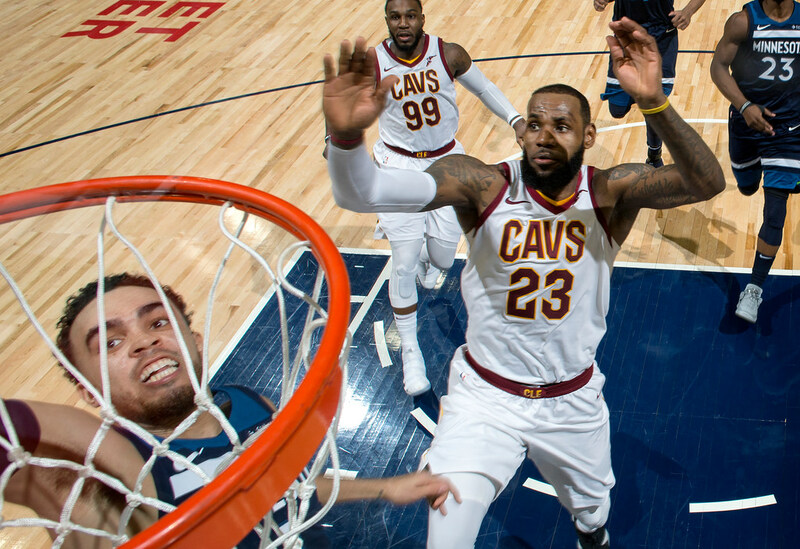 There were plenty of highlights and defining moments in the Wolves’ 127-99 rout of the Cavaliers on Monday, a raucous home victory in which Minnesota led by more than 40 points in the third quarter. But if you’re looking for the microcosm of the Wolves’ evolution narrowed to one day, Tyus Jones has it covered. During media access earlier Monday, the best basketball player on the planet was asked about the “young” Timberwolves. LeBron James grew incredulous and had some fun with the question, noting quite correctly that the Wolves are hardly a young team anymore. LeBron listed off Jimmy Butler, Taj Gibson and Jamal Crawford, among others, as examples of how Minnesota became a much more veteran team this past offseason. The Cavaliers have the oldest average player age in the NBA this season (31.4 years old), but the Wolves are 11th-oldest at 27 years old after being the youngest in the league a year ago (24 years). If that seemed a little disrespectful, albeit innocent enough since Jones acknowledged he’s been called Tyler before, LeBron’s block of a Jones on an open floor layup attempt early in Monday’s game was downright dirty. James stood over Jones for a little while after the block and had some words with veteran Wolves point guard Aaron Brooks, who was on the bench. The message seemed to be: You better tell this young fella he needs to go to the hoop stronger than that. One of the greatest assets of Tyus “Tyler” Jones, though, is that he rarely makes the same mistake twice. Given another open floor situation just a little while later — this time with LeBron trying to chase him down from behind — Jones seemed to surprise James by rising up and dunking. I know he surprised me, at least. (Awesome photo of the dunk by the Star Tribune’s Carlos Gonzalez). So there you had it: Jones went from “who is this guy” to “get that out of here” to “oh, that was legit” in the span of hours. It feels like the Timberwolves have done the same thing over the past few years.